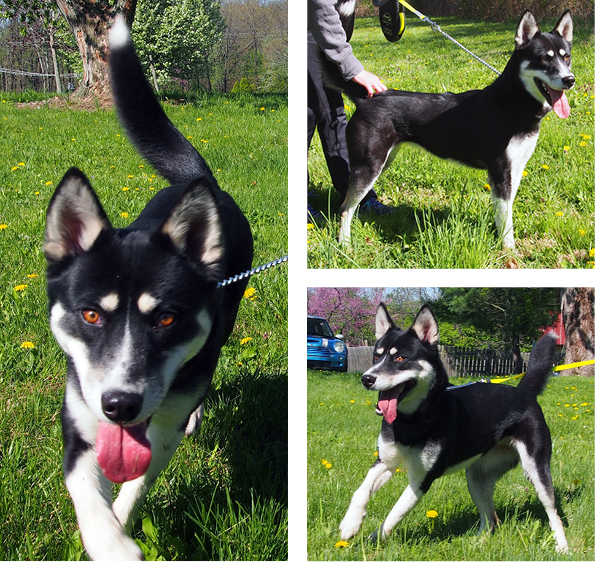 Cutie-pie Jessie is happy and energetic brown eyed beauty husky mix. Jessie was brought into rescue because she was spending too much time alone due to her dad’s busy work schedule, and he wanted this sweet girl to have all of the attention she deserves. Jessie is crate trained, housebroken, good with children, and gets along with most other dogs. She shows no signs of food aggression or possessiveness with her toys. Jessie knows sit and down commands, enjoys riding in the car, and is good on a leash. Jessie is a great young pup!